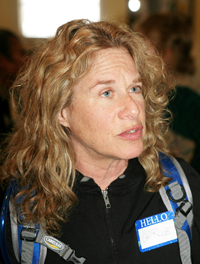 Grammy award-winning singer and songwriter Carole King will perform for free in Hailey at a rally next month to bring attention to the plight of captured U.S. Army soldier Sgt. Bowe Bergdahl. The Associated Press reported in April that the Taliban-affiliated captors who have held Sgt. Bowe Bergdahl in Afghanistan for nearly five years had signaled a willingness to release him. Since that time, there has been no news about released about Bergdahl. Bob and Jani Bergdahl, the parents of Bowe Bergdahl, will speak at the “Bring Bowe Back” event, scheduled for Saturday, June 28, in Hop Porter Park. Bergdahl supporters and friends, including state Sen. Michelle Stennett, D-Ketchum, will also speak. Stefanie O’Neill, the event organizer, said 5,000 to 7,000 people are expected to attend, including many motorcycles riding clubs. “It will be the largest single event ever held for Bowe,” said O’Neill, who contacted King and found that she was interested in performing. King has supported Bergdahl through her own Facebook website, and was photographed wearing a bracelet worn by Bergdahl supporters. The Bring Bowe Back event, now in its second year, will also feature the Travis Hardy Band, which will sing “Bring Back Bowe,” a song produced and recorded in Idaho and featured in a recent music video. Bergdahl, of Hailey, was captured in a remote area of Afghanistan in June 2009. For more information about the event, contact O’Neill at (208) 721-8884 or send an email to bringboweback@aol.com.